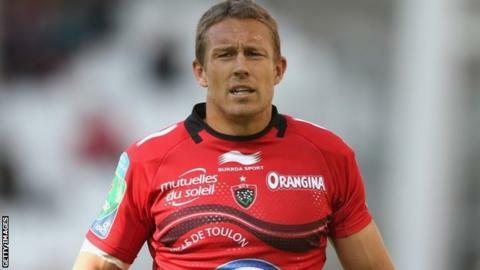 Toulon fly-half Jonny Wilkinson is in contention to win the European Player of the Year award for the second year running. All five candidates come from Heineken Cup finalists Toulon and Saracens. Saracens trio Chris Ashton, Schalk Brits and Jacques Burger and Toulon's Steffon Armitage are the other men on the shortlist. Wilkinson, who won 91 England caps, is expected to retire after the Heineken Cup final on 24 May in Cardiff. If Toulon triumph Wilkinson, 34, will emulate Martin Johnson (Leicester Tigers) and Leo Cullen (Leinster) as the men to have captained two or more Heineken Cup-winning teams.